I am off to Seattle to attend the International Food Bloggers Conference and one of the sponsors is Raincoast Crisps. We are huge fans of these crackers. They elevate any cheese plate and are delicious on their own. They come in a variety of flavor combinations and now also have several wheat free options, Thank You! Today, along with some cheese, I am serving the Raincoast Oat Crisps with Roasted Red Pepper and Artichoke Tapenade. 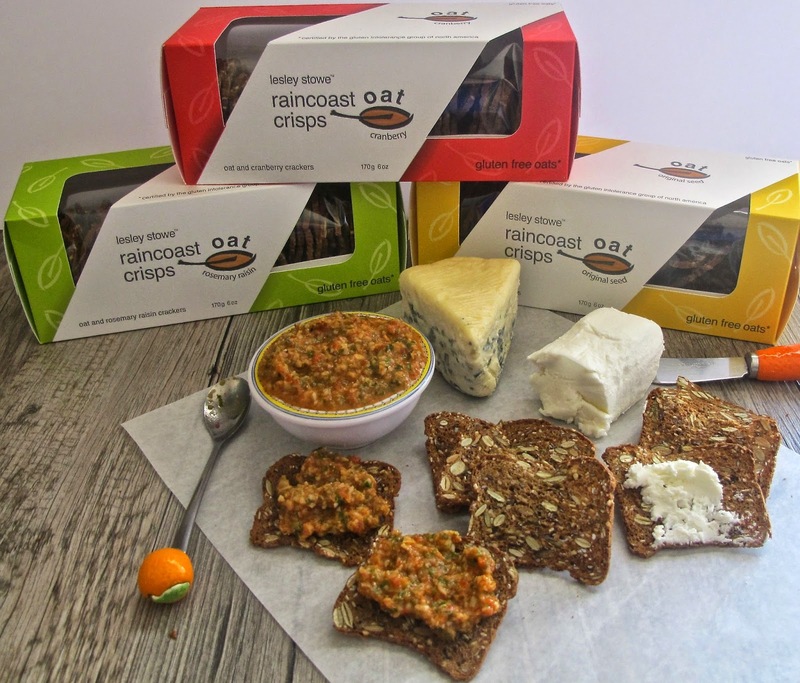 The Raincoast Crisps hold up to any dip or pate. Add all ingredients to a food processor and pulse until mixture resembles a chunky pesto. Allow the flavors to meld for a few hours. This could also be used over pasta, as a sauce or on top of grilled fish.